Hedges were once an indicator of private ownership and were used to fence in meadows. They were important elements of our cultural landscape but with the increase of farmlands and increased mechanisation they lost their original meaning. In many places, removing of hedges is common. 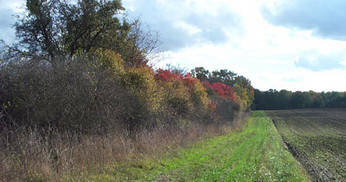 Along with their removal, the twittering of birds and the diversity of breeding species in hedges has also disappeared. The Yellowhammer (Emberiza citrinella), the Nightingale (Luscinia megarhynchos), the Red-backed Shrike (Lanius collurio) and the Barred Warbler (Sylvia nisoria) are only a small part of our native hedge-breeding birds. Hedges are also pleasant for us humans. As they create visual accents in large landscapes, we too tend to appreciate them. We have planted about 12 km of new hedges! These groves with perennials and wild herb tones are now up to 8 m wide and are a popular habitat for birds, butterflies and hares. 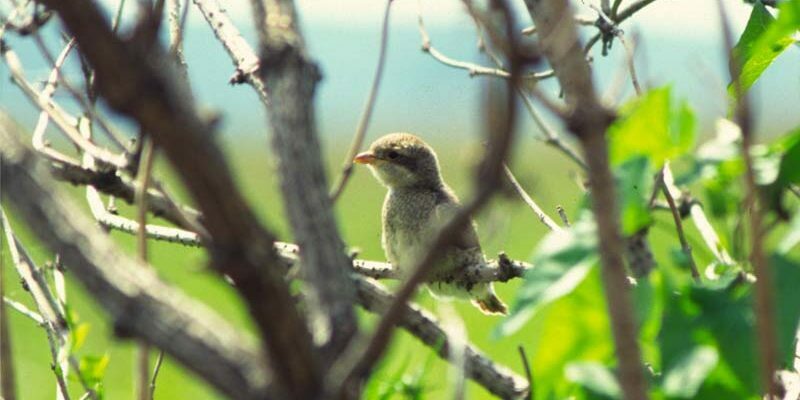 Our hedges are a popular breeding ground for the rare Red-backed Shrike (Lanius collurio), whose population has decreased dramatically throughout Europe in the 20th Century.